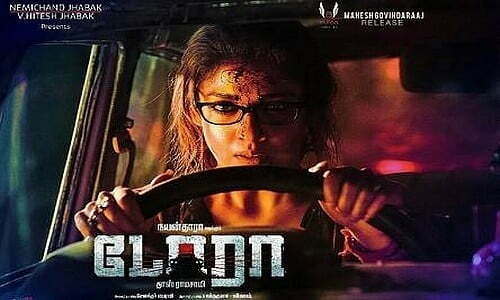 Dora (English: God’s Gift) is an Indian Tamil-language horror thriller film directed by Doss Ramasamy and produced by A. Sarkunam. It features Nayanthara in the lead role, with actors Thambi Ramaiah, Harish Uthaman and Sulile Kumar in secondary roles. The film’s production began in March 2016 and principal photography commenced in June 2016, with Dinesh Krishnan working as the cinematographer. The film was released on 31 March 2017.